•“Georgia is home to more than 580 warehouse distribution locations, totaling 155 million square feet of warehouse space and employing nearly 66,000 workers. •Georgia’s thriving deep water ports offer international companies greater access to U.S. markets. World-Class intermodal facilities offer the upmost efficiency in getting products to consumers. •Industrial buildings are available and affordable throughout Georgia. •Georgia’s work force is well-trained and wage rates are competitive. heater technologies suitable for the warehouse market, including direct fired gas heaters, unit heaters, and infrared (radiant) heaters . 6)Determine tax incentives including EPAct tax deduction benefit and solar credit taxes. EPAct will be based on total project square footage, including mezzanines and pick and pack modules. 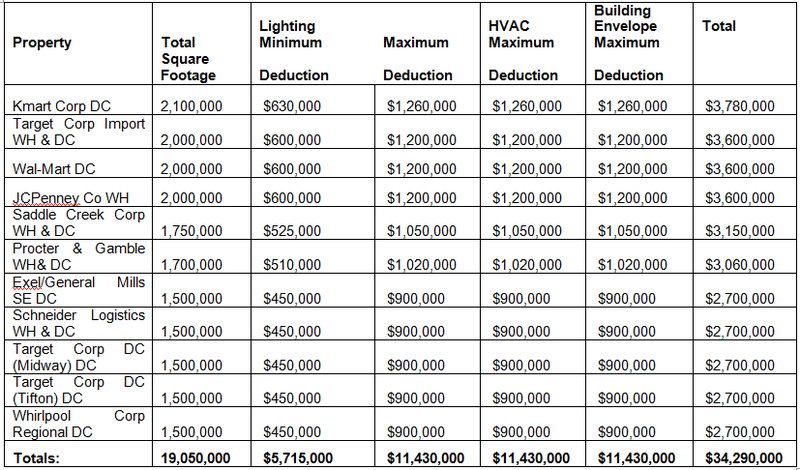 The 30% solar tax credit will be based on the combined solar material and installation costs. 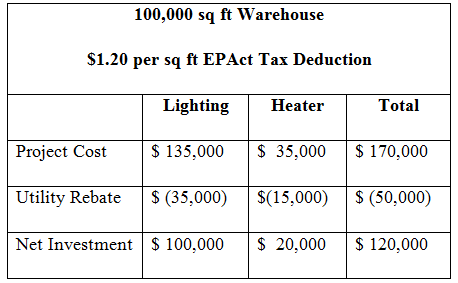 As described above there are multiple compelling reasons including energy and substantial tax savings why Georgia area warehouses are acting on energy-efficient warehouse projects. This is such a widespread phenomenon that market forces will require warehouse landlords to upgrade just to remain competitive. Once the overwhelming majority of warehouses are upgraded America's building products community will undoubtedly turn their attention to the next major building category requiring improvement which may very well be the office building you are sitting in.